I just replaced the ram chip on my rct machine after finding corrosion. The old chip with batteries was working, but didn’t want to ruin my board. Anyway, I replaced it with a new chip, and now it’s not waving anything. It’s easy to change chips out and not much can go wrong unless you put it in backwards, so I’m not sure what’s up. Any ideas? Something incompatible with my machine? I’d love to hear any suggestions. Thx. Where did you get the replacement chip. Most nvram chips I've seen all say ramtron. I got it from action pinball. It’s their 6264 part #. Are there some that work better than others? Yes, because it's a NVRAM (non volatile) and the Ramtron brand is specialized in this technology, but the original RAM is a basic 6264 Static RAM (CMOS). There is ton of manufacturers for the 6264. 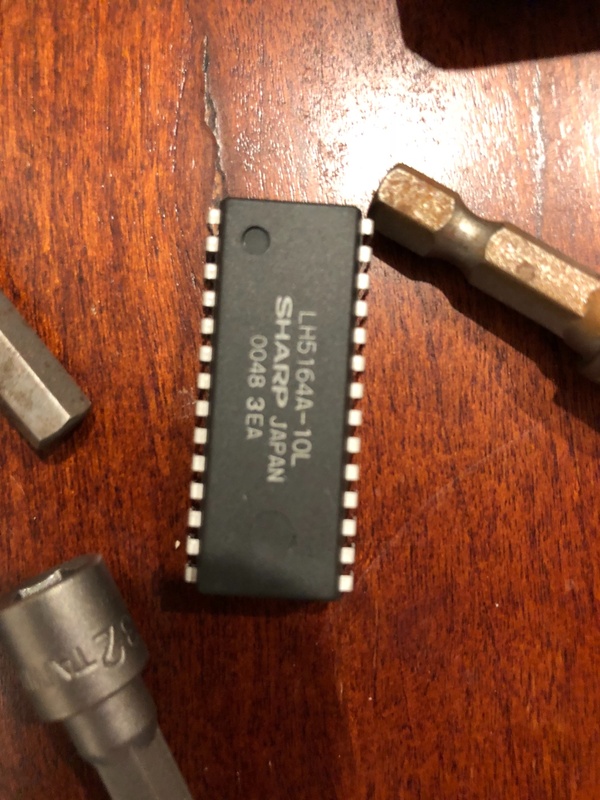 Original are from SHARP, but any other brand will fit nice. There is nothing weird here, they provided a memory from Alliance, which is a well-known manufacturer. The original component is a LH5164-10, pinout and electrically compatible with 6264, having an access time of 100 ns. 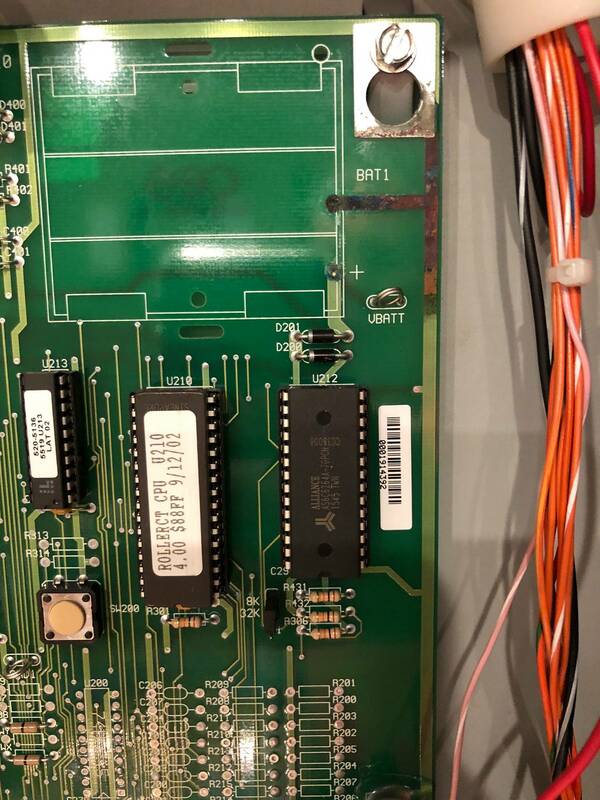 The component provide by Action Pinball is an AS6C6264-70, functionally identical, having an access time of 70 ns. So, it should work ! Unfortunately, it is becoming more and more common: sometimes new components do not work. Myself, I've recently bought a batch of RIOT 6532 where about 40% were (partially) defective. And even worse with a 6821 batch, with 60% of default. And this is not a problem from China market ! this affect all countries, and even serious sellers can sell defective lots without knowing it. I became very suspicious and now, I test all my components before using them. 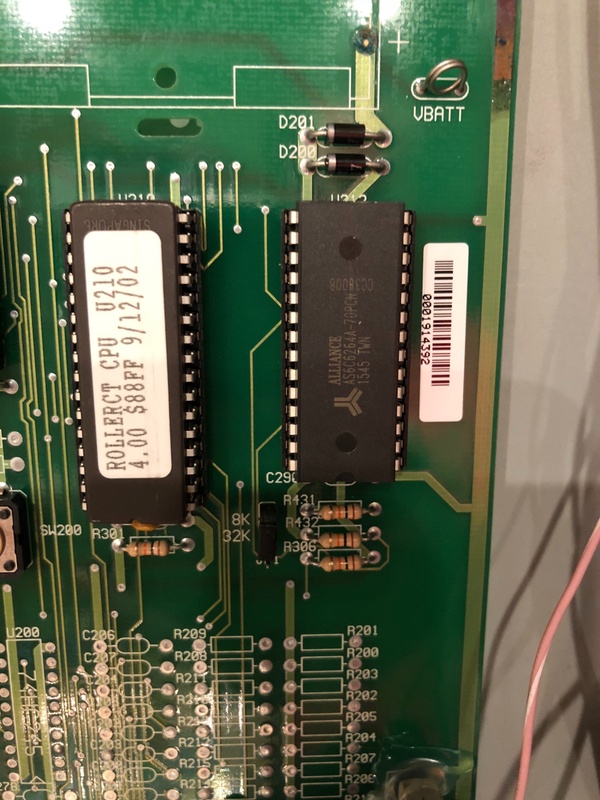 If you have an EPROM programmer, usually, it include a test mode for basic components (TTL, CMOS and SRAM). Not all, but most of them have this feature. I have been doing electronics for almost 40 years and we do not expect to come across faulty components when we buy new ones. But I think that today, we can no longer trust blindly, it is imperative to check its components before using them. Though if you had battery corrosion on your original RAM, see if you have corrosion in the socket pins. Zooming in on a picture of the socket with the RAM out should help determine this. Alliance Memory AS6C6264A-70PCN is SRAM. How do you guys come up with saying this is NVRAM ? Yes, I'm an idiot. I assumed any new ones were nvram. Did I mention I'm an idiot? So can someone point me to the least expensive nvram option for rct? This option is on marcos, but I'm wondering if one exists without dip switches? So can someone point me to the least expensive nvram option for rct? Make sure you get the 6264 version. Just to close it out, yes, I got the nvram eliminator chip and all is well! Thx for the help.